I Lost My Car Key! We install and repair all types of security hardware for commercial clients. We have a lot of experience in installing and repairing automatic door closers. If you are having problem with your door closers, or if you need any type of commercial locksmith service, give us a call. If you are looking for a reliable locksmith that installs automatic door closers in Washington, DC, we can help you. DC Local Locksmith Experts is an established locksmith company, and we provide complete locksmith service in Washington, DC and surrounding areas. We offer fast and friendly locksmith service at affordable rates. We are fully licensed, bonded and insured, and we offer upfront pricing. We install and repair all types of security hardware for commercial clients. We have a lot of experience in installing and repairing automatic door closers. If you are having problem with your door closers, or if you need any type of commercial locksmith service, give us a call. Are your doors not closing? Doors closing too fast? Not closing at all? If your doors are not latching properly, there is a problem with the door closer, not the lock. Many doors in commercial stores and businesses are equipped with automatic door closers, which act as fire blocks. When a commercial door closer doesn’t work properly, you need to call a dependable, courteous, and highest security level locksmith company that caters to commercial customers. 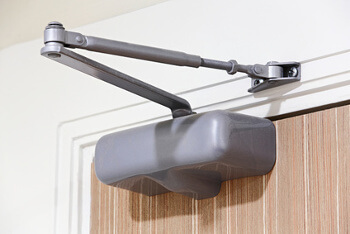 A reliable locksmith technician can adjust, repair or replace weakened door closers. At DC Local Locksmith Experts, we have a team of expert technicians who repair and replace commercial and residential doors, door parts and locks. Our technicians are properly trained and certified to repair and install commercial door closers and all other security hardware. Our technicians can fix broken parts of commercial door hardware. Doors in commercial establishments are used frequently and require regular maintenance and service. Keeping your office or commercial doors working properly gives a professional image to your company. Our locksmith professionals have 5+ years experience providing quality services to our clients. Our professionals recommend scheduled inspection and maintenance service for commercial door closers in Washington, DC and surrounding areas to keep them in top condition. In order to keep your automatic doors working properly and avoid inconvenient breakdown, you need to schedule maintenance service. During a routine inspection or maintenance service our mobile locksmiths will make sure that all parts of your security hardware are working efficiently. We can install or repair the equipment needed to keep your property secure. When we receive your request for service, we will thoroughly examine your automatic door closers, provide you with an explanation of the situation, and proceed to provide upfront pricing and the best solution upon your approval. Our expert technicians are bonded and insured, and they are certified to install and repair security hardware in commercial buildings. Our commercial locksmith technicians are available to repair your broken automatic door closer , or install a new one if the existing door closer is not in working condition. Our 24/7 locksmith service offers a variety of door closer installation services. Some of these services include : installation of a surface-mounted, a concealed in door or a concealed in frame closer. Our locksmith professionals will also make sure that the door closer is the appropriate or most suitable type for the commercial door on which it is installed. We provide locksmith solutions for businesses of all sizes and industries, and we will make sure that your commercial doors will not contribute to security issues due to inadequate door hardware. Our service van is fully equipped with state of the art tools and supplies that enable our technicians to render services quickly and effectively. We guarantee a 30 minute response time. 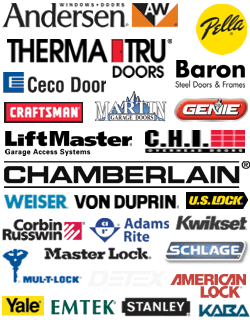 We carry major brands of commercial door products, offering the highest level of safety. We employ only certified technicians who are thoroughly knowledgeable about the latest locking technologies. We provide prompt and 24/7 locksmith service year round. Our mobile locksmiths are considered the best in Washington, DC and surrounding areas. 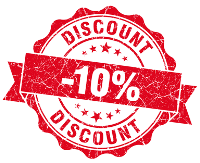 Our expert locksmith technicians are prompt, efficient, and they offer upfront pricing to our clients. When you call us for service, we will dispatch a qualified locksmith professional to your business location. With our 30 min response time, you can rest assured that our complete locksmith service technician will arrive on time to resolve the issue. DC Local Locksmith Experts are highly reputable due to our professional, efficient and affordable services. We have an established history of providing our customers and clients with the best solution to their locksmith issues. With 5+ years experience in the industry and 30 min response time, our technicians promise you fast and friendly service of retail, institutional and industrial doors. Whether you need service for automatic door closers or other commercial door system, we’ve got you covered. Call us to schedule a service appointment with our experienced customer service agent. Automatic Door Closers https://dclocallocksmith.com/commercial-locksmith-dc/automatic-door-closers-dc/ 3.8/5 based upon 12 reviews. Our fast, friendly, mobile locksmith techs are available for the entire Washington, DC area all day, everyday!